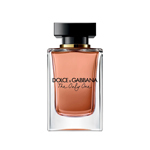 Dolce&Gabbana presents the new feminine Eau de Toilette The One. A glamorous, joyful, spontaneous, charismatic woman who embraces her femininity and her emotions. As enchantingly feminine as the original scent, but with an added dose of freshness, the new Eau de Toilette sheds new light on The One’s iconic flower: the glamorous Madonna lily. 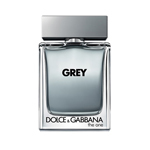 Its white petals dusted with golden pollen, the Madonna lily blossoms in the radiant sun of Italian Bergamot and Mandarin essences, rounded out with silky Lychee and luscious White Peach. A bespoke essence of Ylang Moheli, especially distilled to reveal its luminous lily facets, is enhanced by tender Orange blossom and honeyed Broom absolutes. 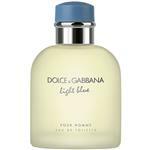 A sensual drydown of Vanilla, Vetiver and Musk wraps the exuberant bouquet in a sensual trail.